We are member of GoodWeave. 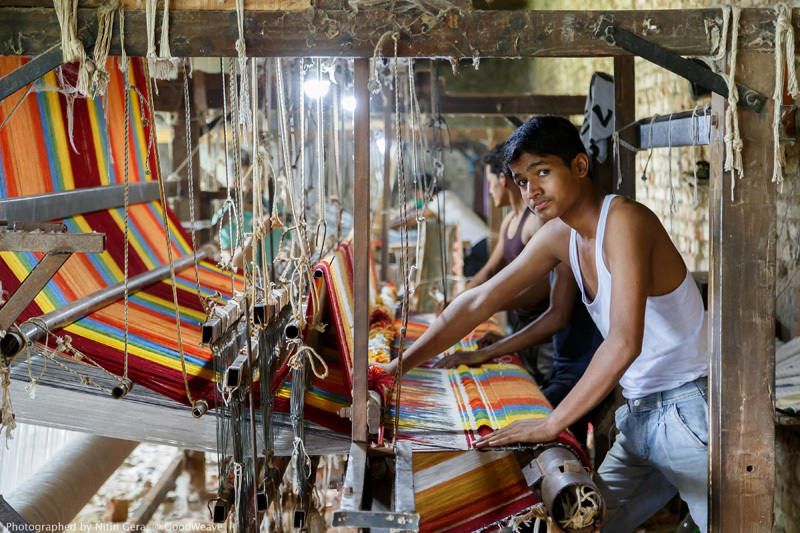 GoodWeave works to end child labor, forced and bonded labor in supply chains. Rigorous monitoring and partnershipwith brands, businesses and communities helps rehabilitate victims, provide education access to vulnerable children, and promot artisan well-being. Goodweave’s work has led to the freedom and education of over 24,000 childeren and improved working conditions for more than 59,000 adult workers. They’ve accomplished this in a partnership with 350 companies worldwide. The Goodweave label offers the best assurance that the product you purchase is free from child labour and forced labour. 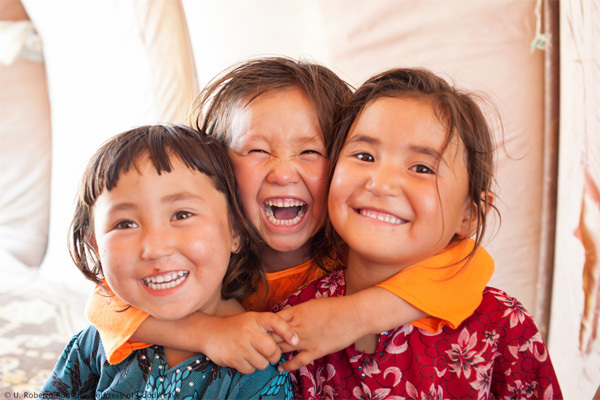 The sale of a goodweave certified product also helps to create a brighter future for children. GoodWeave’s inspection process reaches all outsourced production including cottage and home based units in the informal part of the supply chain. Random, unannounced inspections ensure child labor free supply chains. 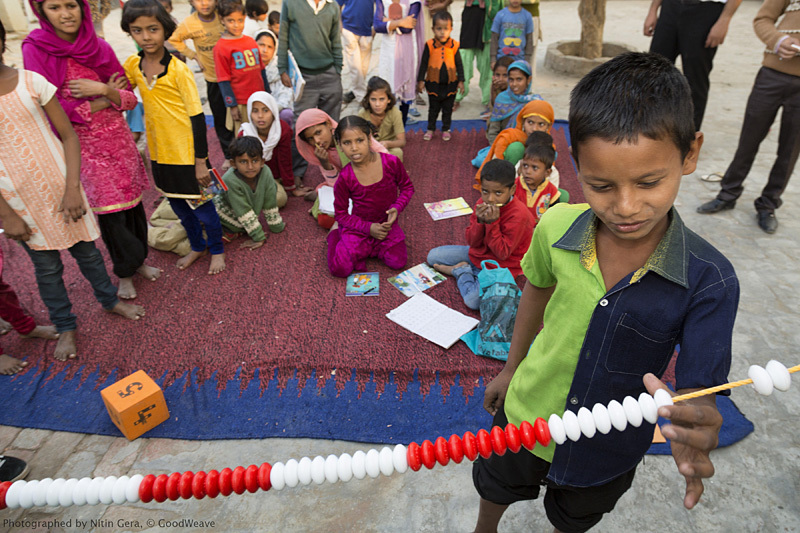 The project ensures that the most marginalised children, especially in weaving and handwork communities attend schools in high numbers, and that schools, teachers and parents are mobilised enough to guarantee high quality education. 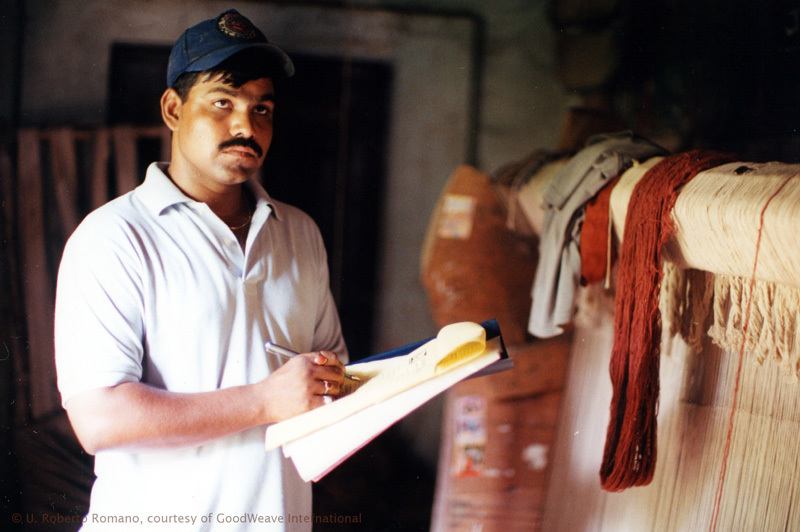 From homebased weavers to workers in the factory, GoodWeave through its producer support program brings health, livelihood, financial literacy, child education and other forms of benefits to workers in the supply chain.